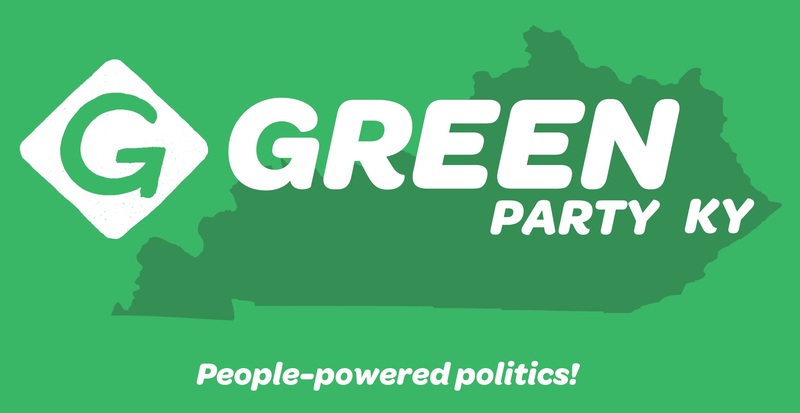 For minutes of the latest meeting (June 27) of the Steering Committee of the Kentucky Green Party, click here. Help Get the Green Party Candidates on the Kentucky Presidential Ballot! We have started an email list on Yahoo Groups to discuss the business of the Kentucky Green Party. To subscribe, send an email to this address..
It’s official! The Kentucky Green Party is now an accredited state of the Green Party USA. We are thrilled to have this official association with Green Party USA. We are planning a statewide meeting this summer. Stay tuned for details on the date/time/place. Support the The Poor People’s Campaign! Green Updates… New Web Site!